Note: Try to use low temperature air you can work properly, you can extend the life of the heating element, the IC chip more secure. 2.Smoke is usual when there first time to use, because moisture of heating element will come out a little. 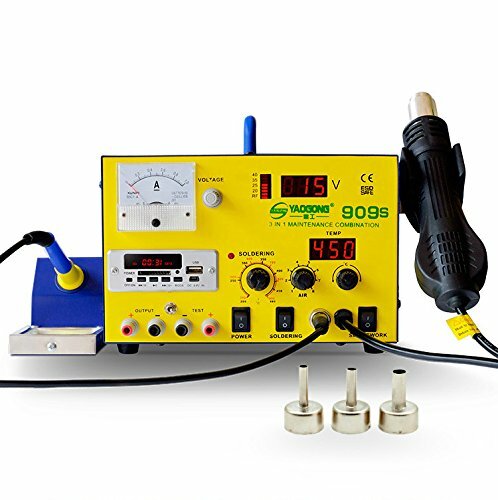 AUTOMATIC SLEEP SYSTEM:The system has automatic cold air function and soldering iron can enter sleep system automatic, can extend the life of the heater and protect the hot air gun and soldering iron. If you have any questions about this product by YAOGONG, contact us by completing and submitting the form below. If you are looking for a specif part number, please include it with your message.